The notion of French exceptionalism is deeply embedded in the nation's self-image and in a range of political and academic discourses. Recently, the debate about whether France really is "exceptional" has acquired a critical edge. Against the background of introspection about the nature of "national identity," some proclaim "normalisation" and the end of French exceptionalism, while others point out to the continuing evidence that France remains distinctive at a number of levels, from popular culture to public policy. 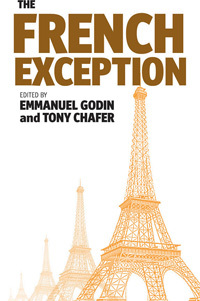 This book explores the notion of French exceptionalism, places it in its European context, examines its history and evaluate its continuing relevance in a range of fields from politics and public policy to popular culture and sport. Tony Chafer is Principal Lecturer in French and African Studies at the University of Portsmouth. Chapter 5. Does it Make Sense to Treat the Front National as a ‘French Exception’? Chapter 7. French Industrial Relations – Still Exceptional? Chapter 9. French Foreign and Defence Policy: Exceptional in Methods and Rhetoric? Chapter 10. Presidential Debates in France: An Example of Americanisation?